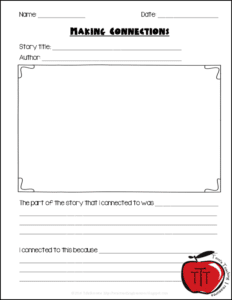 Do you wish your students would make deeper connections while reading? 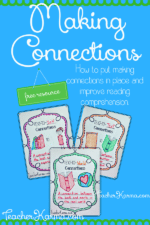 Teaching your students to make connections while they are reading is essential to complete reading comprehension. Students usually struggle to make deeper connections and the key is to model, model, MODEL! To begin, I read a few stories and model how to make connections. Then eventually, students start making connections to what I am reading. See below for a graphic organizer to help with this. Please note these are all affiliate links. 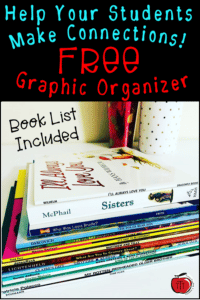 If you want a list of more of the books I use for students to make connections with, check out my blog post here. The power of a sticky note! After I have modeled how to make connections a couple times it is the students turn. They get a few sticky notes with their names on them. 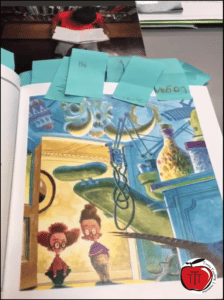 As I am reading they will come and place a sticky note on a page they have connected with. After reading is done, they share with a partner their deepest connection. First they TELL, then they SHOW. After students have shared their connections verbally, it is time for them to show me their connections. Here is one of the graphic organizers have students work through. 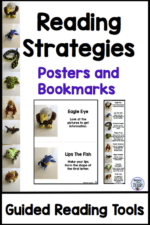 I have personally used this page with students in grades 1-5 and it works great every time. Of course, the higher the grade, the higher the expectations. 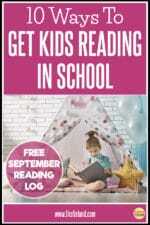 To get your FREE copy just click on the picture or right here.